KELLY’S Centra at Mountain Top in Letterkenny are at it again! They’ve come up with another cracking deal – this time for motorists. 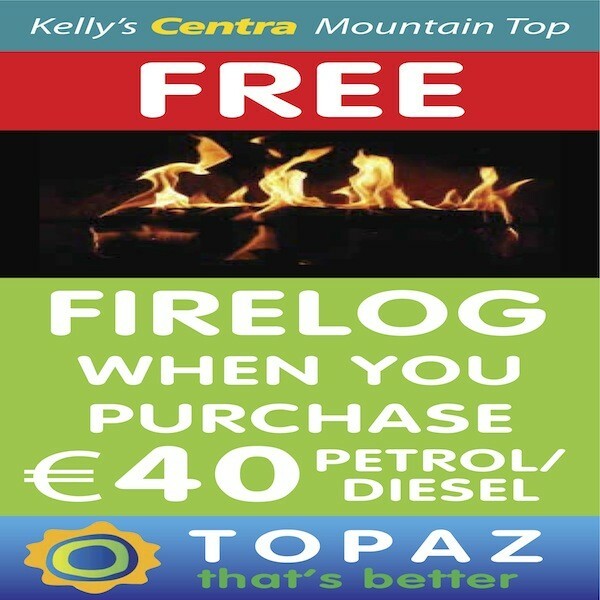 Anyone filling up today with €40 of diesel or petrol will bag themselves a free fire log to keep you warm when you get home. It’s enough to warm your heart!